The book of Hebrews is an invitation to deal with our uncertainties about faith in the best way possible ? by looking to Jesus. We discover that Jesus is the eternal Son of God whose glory outshines that of the highest angel. He is also the great pioneer, excelling even the achievements of Moses. As a priest he surpasses Aaron, so much so that he has rendered that priesthood redundant and has introduced a new one ? along with a new and better covenant. That covenant was sealed in His own blood and by an offering that disables sin and transforms lives. To put our faith in Jesus is to trust in one who is perfect. It is worth persevering, whatever the difficulties, especially since God uses those difficulties to bring us to spiritual maturity. 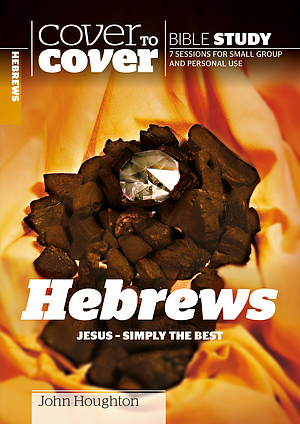 Hebrews Simply the Best by John Houghton was published by CWR in February 2005 and is our 15026th best seller. The ISBN for Hebrews Simply the Best is 9781853453373. Be the first to review Hebrews Simply the Best! Got a question? No problem! Just click here to ask us about Hebrews Simply the Best.